The holiday brochures have been flicked through numerous times, but it still does not matter. 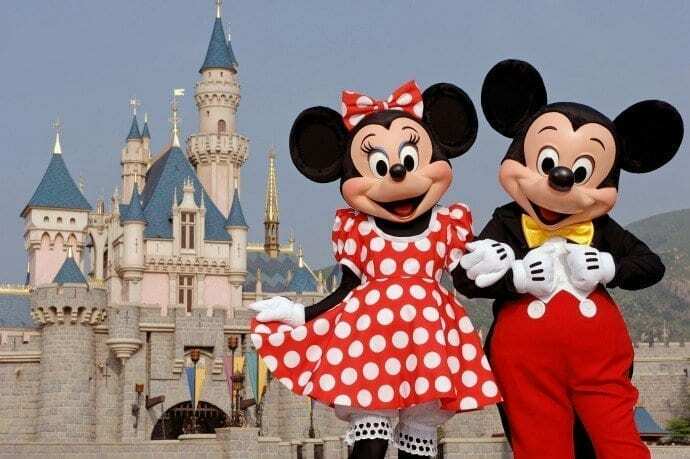 The kids have decided where you are going on holiday and it looks like you are venturing to Disneyland Paris, for a fun filled, Mickey Mouse treat. How do you get there though? Do you drive? Do you catch the Eurostar and possibly hire a car if required? Do you fly? Those are not the only options to consider though… when you get there do you stay in the actual complex at a Disney hotel or do you stay on the outskirts and commute to the parks. Having a quick look on the internet, it appears Hotel Direct showcase some fantastic hotels local to Disneyland Paris. The options really are limitless and it totally depends on your budget and how long you intend to enjoy the resort. So here are a few tips for you from someone who had the opportunity to go to the resort and experience all Disneyland Paris has to offer. Accommodation: Staying locally gives you the option of visiting other areas besides Disneyland Paris. We drove there and I noticed some really interesting places to visit and shops that I wanted to have a look in but never got the chance. Food: Less reliant on being in a queue of hundreds before you, staying outside the resort means you can pick and choose where you eat at a more ‘local’ price. Prices in the actual resort are expensive, as you would expect and whilst in France, why wouldn’t you want to try the stunning French cuisine? We noticed a sandwich bar inside the train station (which is located almost inside Disneyland Paris) and chose to spend roughly 3 Euros on a sandwich each at night and eat like a King at one of the more reasonably priced buffet restaurants during the day. Drink: As you would expect, alcohol can be expensive too. Outside of the resort, you have the option of several local supermarkets that will offer alcohol at friendly prices. Bottled water is a must and we were lucky enough to pick up several small bottles each time we went to the buffet to keep us hydrated during the day. If you ask, the friendly staff at Disneyland Paris will give you bottled water. Tickets: Staying at a resort hotel, your tickets are included in the price of your holiday and entitle you to entry for the duration of your stay. Residing outside the resort, you can shop for the best prices on tickets and simply purchase them for the time you wish to attend Disneyland Paris. We were there for 4 full days in total and had certainly been on most rides by day 3. Having the option to go out and explore the local, surrounding area would have been appreciated but as we had paid for the tickets, wanted to get full use of these. Whatever option you decide on for your holiday, the most important thing is that you enjoy yourselves! 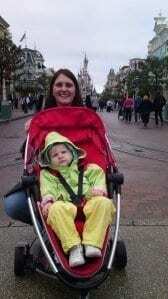 Disneyland Paris has so much to offer and is and unbelievable experience whether young or old. The main draw for staying at a resort hotel is that you do get early bird access to the rides, so that you can have several rides on Space Mountain before the park opens to all! This is a collaborative post, written entirely on my experience of Disneyland Paris. Online Dating: Jon Ronson’s The Psychopath Test Answers A Lot Of Questions!